Decumanus Green | What is a Net Zero Home? 09 Jan What is a Net Zero Home? A net zero home is a house that produces as much energy as it consumes each year. Because Net Zero Homes are tied to the grid, they can draw electricity when their renewable source can’t meet demand and sell it back to the grid when production outpaces use. For Net Zero Homes, the grid functions less like a supplier or energy and more like a reservoir of energy, holding electricity in reserve for use at a later time. A net zero home puts back into the grid at least as much energy as it pulls off the grid, the net effect being that 100% of the home’s energy use over time comes from a renewable source. The obvious advantage of a net zero home is its use of 100% renewable energy. This has both long-term economic benefits as well as an obvious and immediate environmental impact. The economic benefits go beyond reduced current utility bills – it can provide “energy security” — a guarantee against future (perhaps sharp) increases in energy prices. But there are other less obvious advantages as well. Net zero homes are designed and built with a wide-ranging understanding of how a house functions as a dynamic system. The house is not only more energy-efficient but also more comfortable for the homeowners. The indoor air quality is superior, and both the structure and finishes are less vulnerable to deterioration. Net zero homes are pleasant places to spend time in; they contribute to healthy living and they are durable over time. There are many kinds of net zero homes and as many ways to design and build them. 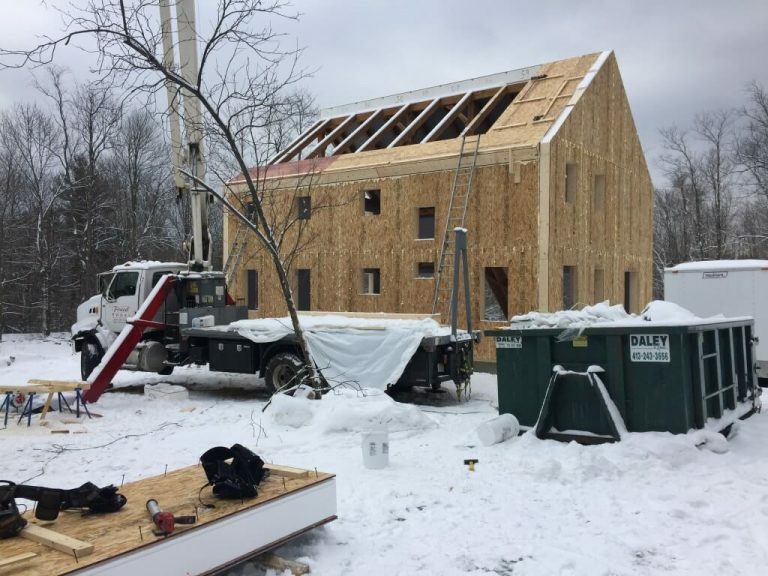 Toolbase Services, a builders’ online resource, has developed a useful list of steps that are key to net zero home design and construction. 1. Reduction of heating and cooling loads. 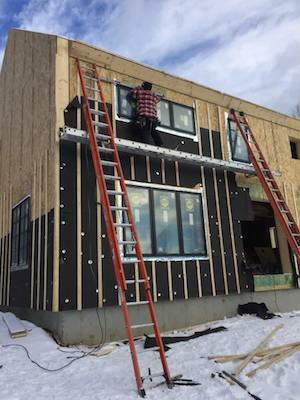 This is done primarily through a high-performing building shell that includes extra insulation, a well-sealed building envelope, and thoughtfully placed high-efficiency windows. A general rule of thumb in the industry is 1-5-10-20-40-60-80: an air leakage rate of no more than 1 ACH@50; R-5 windows; R-10 basement slab; R-20 basement walls; R-40 above ground walls; R-60 cathedral ceilings; R-80 flat ceilings. 2. Increase in the efficiency of heating and cooling equipment. Today’s air-sourced heat pumps, or mini-splits, do a remarkable job of heating and cooling at an extremely efficient rate, even under extreme conditions. They are becoming the standard in the net zero home market, and the technology is continually advancing. 3. Installation of high-efficiency hot water (DHW) systems. The two options here are solar hot water and heat pump hot water heaters. Which of these makes for the better option depends largely on site conditions and household needs. It is important to note that in net zero homes, DHW tends to be the single biggest energy draw. 4. Installation of high efficiency lighting. LED lighting has come down in price and provides a wide range of alternative lighting styles and applications that go well beyond compact fluorescents and even beyond the old incandescent bulbs. 5. Installation of high-efficiency appliances. Energy Star appliances are the minimum standard. New options are coming to the marketplace almost daily. Front-loading washers are of particular importance because of how much they reduce hot water consumption. 6. Installation of a properly sized photovoltaic (PV) solar system. 7. Creation of conscious energy consumption. The phrase “There are no net zero homes, only net zero families” has become a truism within the green building community, and there is a real truth there. Structures and systems can get a house only so far in reducing energy consumption. The actual net zero operation of any house depends on the mindfulness of its inhabitants and the development of energy-conscious habits. These habits, while new to some, are rarely as onerous as many fear.